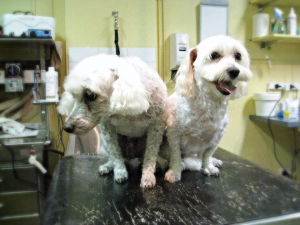 Bath and Groom | Clip your Pet for Summer | Call Now. 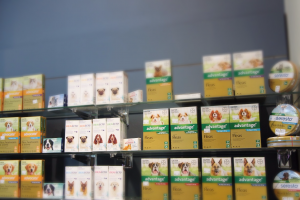 $ Our prices vary based on the size and fur type of your dog. It is always best to come in with your dog for a direct quote where possible. 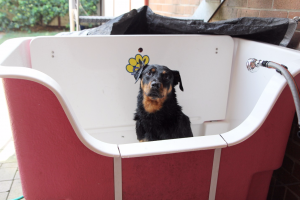 Warm bath with quality shampoo suited for your pets fur. Trimming and shaping (neatening) of the hair around the body, legs, feet, tails and head. Towel dry and Blow Dry (Not styled). 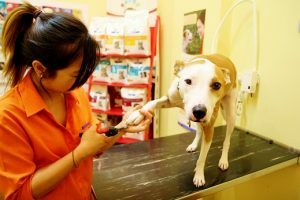 If your cat or dog is in need of a manicure, we are able to trim them down for you. We understand that nail clipping can be stressful for pets and daunting for the owner, especially when their pets have black claws! We always try our best to minimize this ordeal for them and make it the best experience as possible (treats almost definitely involved). 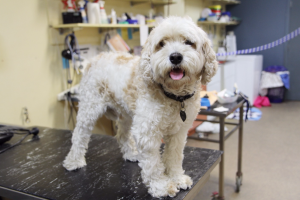 If you are wanting to learn how to clip your pets nails, then bring in your pets nail clipper and mention this at your booking or when you come in. A nurse can then show you how its done. Nail clippers can also be purchased in our clinic. $ Prices may vary. It is always best to come in with your dog for a direct quote where possible.